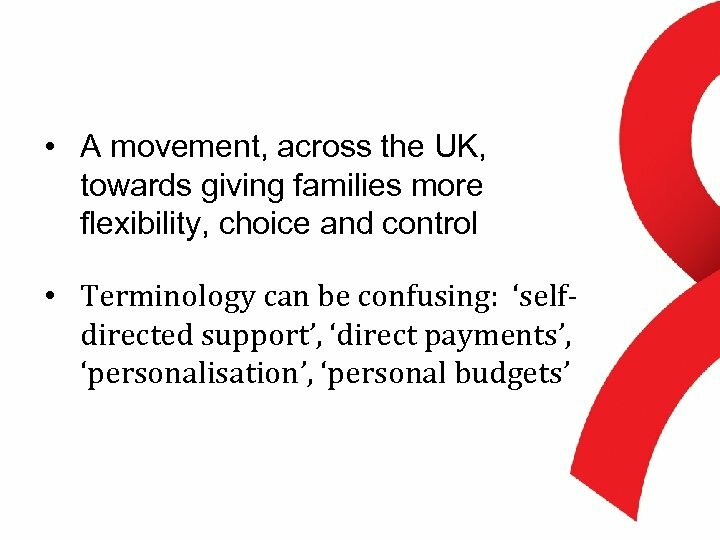 ‘The key is flexibility’ My mother isn't always comfortable with strangers providing the personal part of her care. Direct payments allow me to buy help around the house, which I couldn't previously access under our old care package. 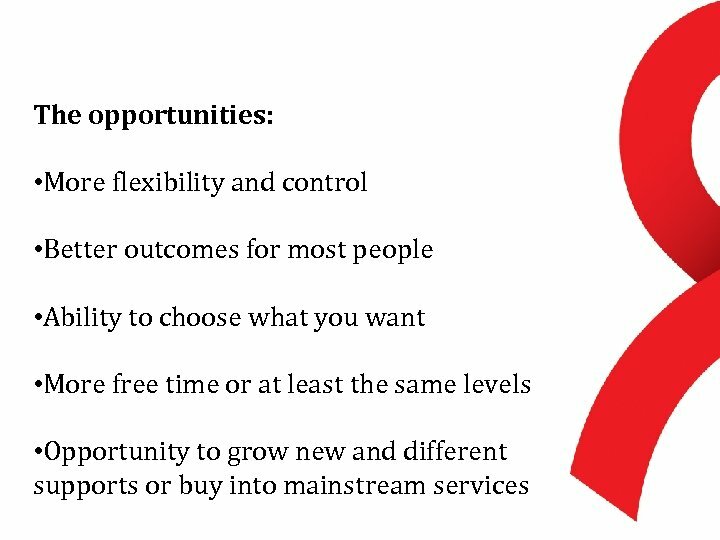 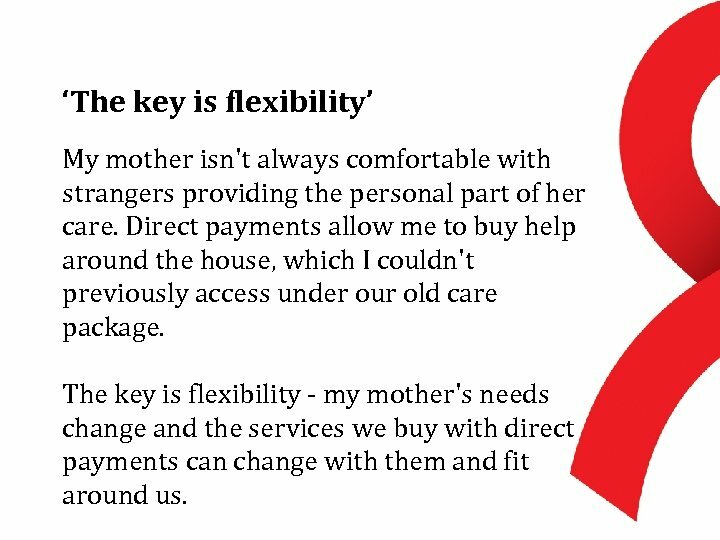 The key is flexibility - my mother's needs change and the services we buy with direct payments can change with them and fit around us. 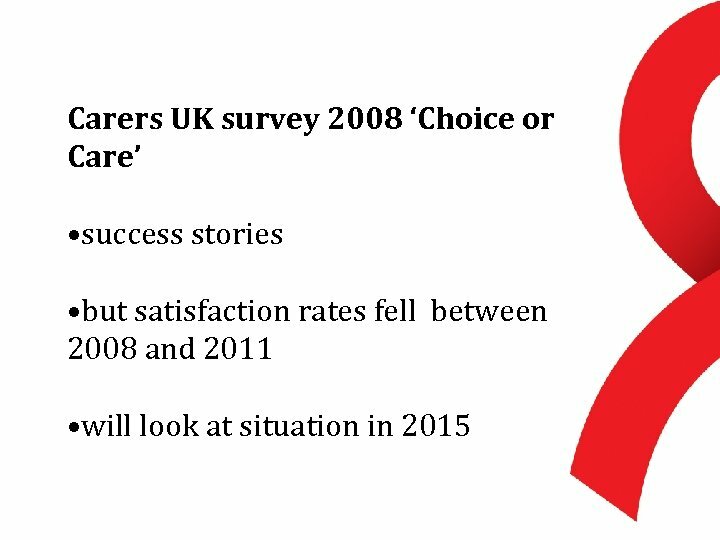 New developments The Care Act 2014 in England brings in new duties around personal budgets and enshrines this in law. 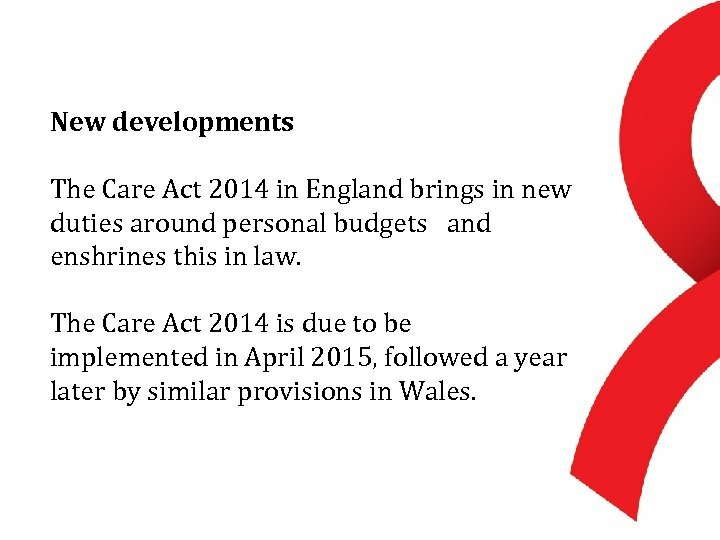 The Care Act 2014 is due to be implemented in April 2015, followed a year later by similar provisions in Wales. 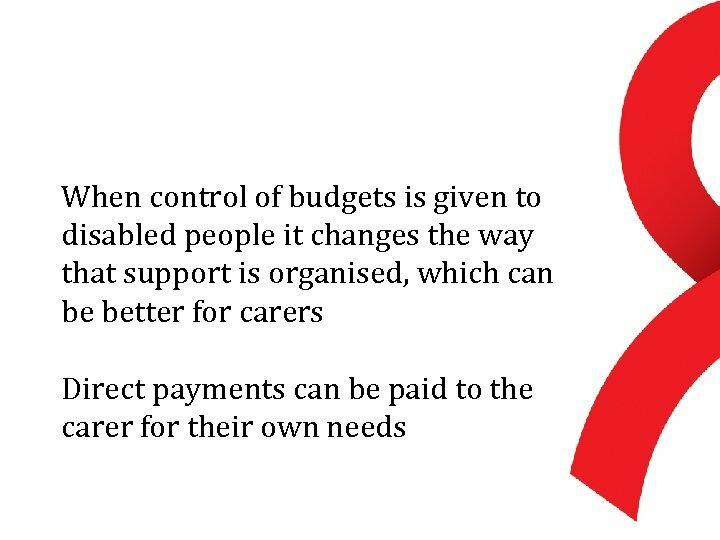 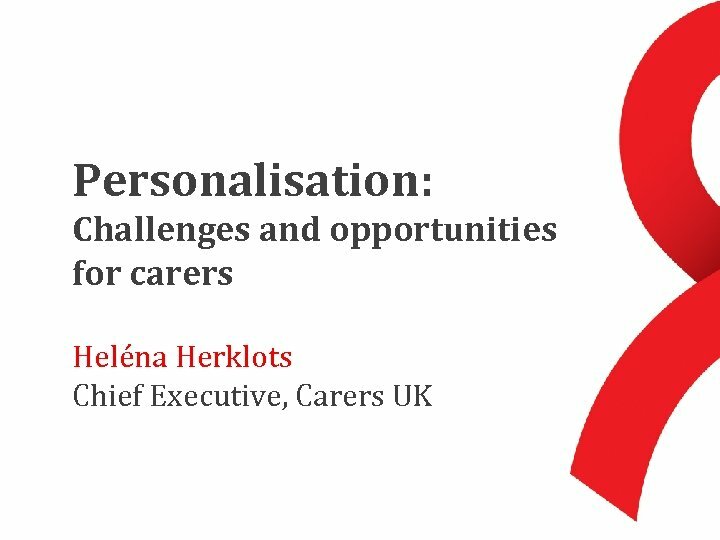 Personal budgets apply both to people needing care and support and carers who need support to fulfil their needs. In the Care Act there is also a new flexibility in the law which allows a family member to be paid for administering direct payments.